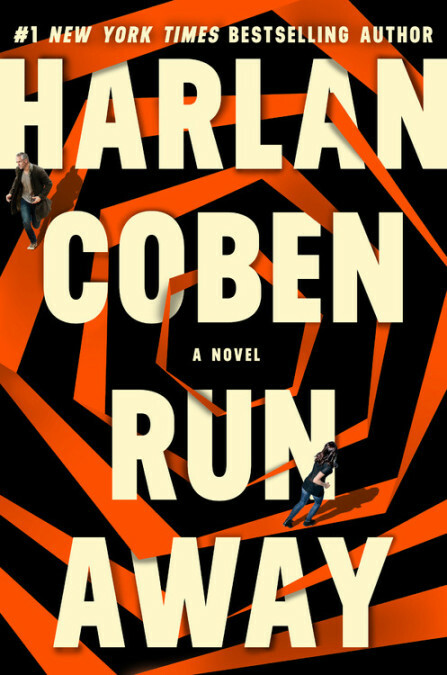 Summary: A perfect family is shattered in RUN AWAY, the new thriller from the master of domestic suspense, Harlan Coben. She’s addicted to drugs and to an abusive boyfriend. And she’s made it clear that she doesn’t want to be found.Then, by chance, you see her playing guitar in Central Park. But she’s not the girl you remember. This woman is living on the edge, frightened, and clearly in trouble. It's probably not a surprise for those of you who are already fans of Harlan Coben, but I love his books! No matter what I seem to pick up, I can't put it down... and that includes his latest novel RUN AWAY. This book is pretty darn entertaining with lots of twists! RUN AWAY has a fantastic premise. Simon has been secretly trying to find his drug addicted daughter. She is definitely not in a good place between the drugs and her abusive boyfriend; and when Simon sees her performing in Central Park, he knows that something is seriously wrong with the daughter because she seems like a different (and scared) person. When Simon approaches her to offer help, she takes off and Simon ends up following her. This split second decision takes him into a terrifying world of drugs and crime, and ultimately puts his family and himself at risk! I loved RUN AWAY. As I mentioned earlier, I flew through this book and that's really saying something for me because my reading rate has taken a hit! I loved the characters and the storyline, and I was quickly caught up in Simon's desperate desire to save his daughter. What parent couldn't relate a bit to the drastic means Simon was willing to go to get his daughter back? RUN AWAY has action-packed to say the least, and I'm having a hard time "talking about" this book without giving away too much of the suspense. What I can say is that Simon, a well-to-do Wall Street broker, never imagined himself engaging with drug dealers and other nefarious criminals; however, he rose to the occasion and ended up being a great heroic lead for a thriller. I not only appreciated how he "solved" the mysteries surrounding his daughter, but I also loved that Mr. Coben made him a genuine character -- a dad who just wanted to save his daughter and the rest of his family. What I enjoyed this most about this novel, though, was the ending. Talk about a surprising finish! I wasn't exactly sure where the novel would go between Simon, his daughter, the drug lords, the private investigator, and the cult members. And even though I did pick up a few clues about a certain plot point, I still ended being surprised with other things in this novel... things I didn't even know to be looking for! It was entertaining to say the least! I definitely recommend RUN AWAY to Harlan Coben fans as well as other readers who enjoy thrillers! Thanks to the publisher for providing a Netgalley review copy of this novel. I think I've only read one of his books and I really liked it. My sister enjoyed this one too.